This species is what was known as Salix fragilis var. decipiens and is now called Salix euxina according to Stace. Generally a robust twiggy bush 5 to 7 metres high, but occasionally developing to a tree of 10 to 15 metres. It has coarsely fissured grey brown bark, and has brittle twigs like the related Crack Willow. The year old twigs are very distinctive, pale ochre in colour and distinctly lustrous quite unlike those of any other Willow. Fresh unripened shoots are often stained crimson. 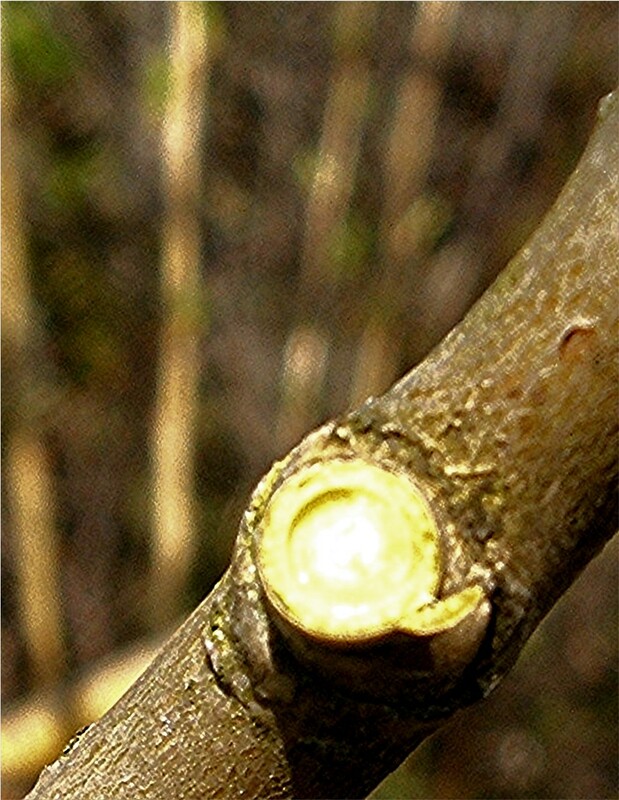 The leaves are similar to those of Crack Willow, but shorter and broader, up to 9 cm in length and from 2 to 3 cm wide. Usually only male catkins are found in Britain, they are generally less than 3 cm long, and 0.7 cm wide, looking puny and undernourished, yellow, erect on short leafy shoots. Not common in this country, with only male trees recorded. The status and distribution maps are very unreliable due to name changes and mis-identification. Uncommon in Leicestershire and Rutland.